A composer, multi‐instrumentalist, and classically-trained guitarist. 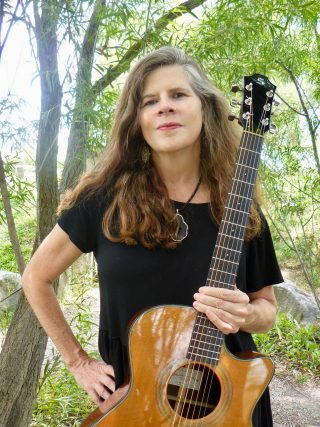 Believing in the power of music and its great potential to unite, connect, and touch us all, Michelle performs at various concert venues, festivals, yoga studios, healing centres, and special events. Her work is inspired by her curiosity of sound production, both acoustic and electronic. Her albums are heard globally on new age and ambient music programs as well as programs and playlists devoted exclusively to guitar music. If we cast your mind back to when you were a kid and a teenager: what are your earliest musical memories? Hearing The Beatles! Seeing a guitar at a friend’s home when I was about 7; when I turned 13 I bought my first guitar. Which was the first album you ever bought? Because I grew up a middle child I had access to my older sisters albums, saved my money for guitars fort the most part! 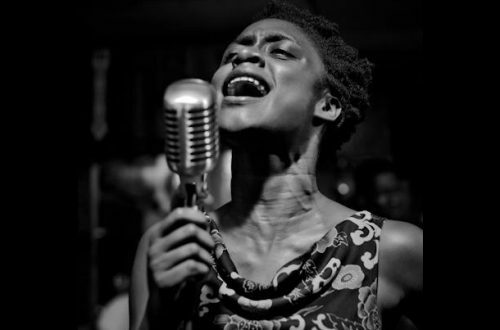 Which musicians do you particularly admire and which one do you think influenced your music? I am deeply moved by any musician who plays any instrument masterfully, and you feel that this person and the instrument are one. People can have moments of this connection but there are some artists who sustain that oneness-that’s greatness. Which is the best concert that you have been to? A tie between a classical music concert at Tanglewood, summer home of the BSO, at a concert by the Academy of St. Martin in the Fields and a concert trio of Classical Indian music with Zakir Hussain. Are you still in love with your profession as musician? How do you keep your enthusiasm always live? Sound inspires me, so when I feel overwhelmed by the aspects of the business of music, some time to simply play the guitar for myself can revive, and refresh me. How do you manage your music life with your “common” life? What is your typical day like? Typically on the weekdays, once my husband and daughter leave for work and school, I get straight to work in my home studio, which can mean anything from practicing an instrument, working on a composition, mixing a piece or mastering my music, answering and writing emails, creating posts, playing an afternoon concert at the local hospital, playing for a yoga class, setting up or attending a meeting, creating and uploading videos, reviewing stats and progress, changing guitar strings, curating playlists, designing a concert program, working on lyrics, answering any social media requests, going to the digital media lab at our library to learn about and create content in the latest software for video and photo production or sometimes recording in the Whisper Room there, grabbing a long walk in the woods while listening to music in progress, getting out to a yoga class to maintain a healthy mind and body. I get so immersed, before I know it it’s time to pick my daughter from school and remember to make dinner for the family! But yes, I’m alone and very busy most days. Tell us more about your latest works. This year I’ve released three singles and two albums, and also this is the first year I’ve been involved in collaborations. So, chronologically, the single Inside the Lightbox is an 11 minute long trip ambient piece followed by a more new age single over 9 minutes long titled Floating, both on the Heart Dance Records label. 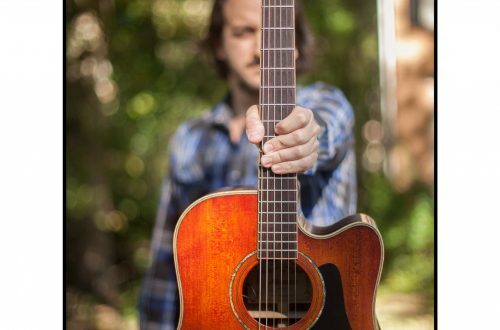 At the same time I was working on my next albums, releasing a collection of 17 acoustic guitar tunes on my label Music as Metaphor, followed by a release of an ambient album, Silver Chord, on the Heart Dance Records label. That album features an opening track collaboration, with California based ambient artist David Helpling, marking the first time I had a musician other than myself featured on one of my albums. Soon after that release, I was a featured guest artist on the album Perihelion by Al Jewer and Andy Mitran of Chicago. I also collaborated with Norwegian based fellow guitarist Tommy Berre (Read our IndieView with Tommy) on a track titled An Offering. Currently in the works as well is a collaboration with the UK based artist Paul Landry. As far as my live performances, along with house concerts, I play a fair amount at yoga studios accompanying classes, and last month I launched a project I call Harmonic Sound Immersion™ which is essentially a “horizontal concert”. People are invited to locate themselves comfortably on a mat or blanket on the floor and close their eyes while I engulf them in sound-playing everything from my guitars to my Music as Metaphor singing bowls, to flutes, didgeridoos, gongs, a ROLI Lightpad Block, and more. The participants report this to be a very deep, almost active dreaming experience that leaves them refreshed, peaceful and relaxed. Are you self-taught or have you studied music? You think is important studying music to be a Pro? 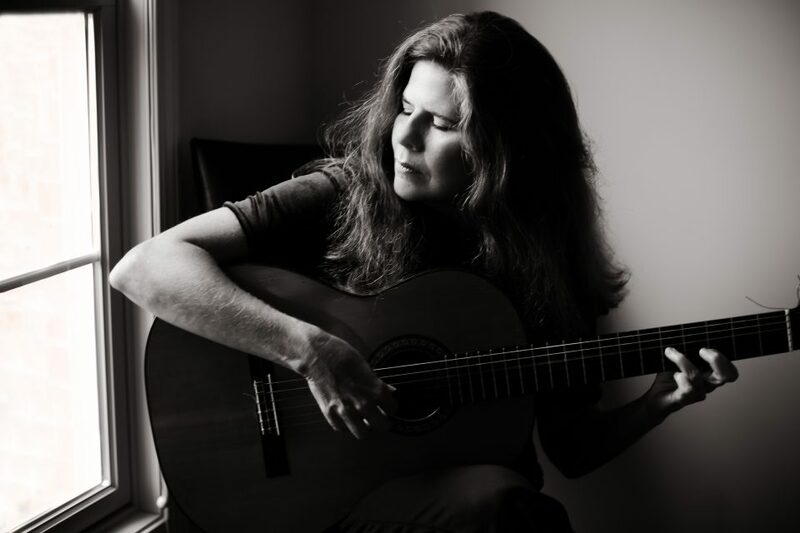 As a teenager, I taught myself to play the guitar and other fretted instruments. In college, I decided to study Psychology but soon realized my passion was with music and I wanted to gain a solid foundation, so I started at a conservatory and that’s where I trained as a Classical Guitarist. For me I am very glad I put that work in to build a foundation in music theory, history, appreciation and I found the opportunity to develop so many other skills. However, I don’t believe one has to go through formal studies to be a pro. Did you keep on studying? There is no end to learning, not an end to discovering new sounds, nor an end to honing your skills. Speaking of culture, which is the last book that you read? I’m working through a really interesting book right now called “Tuning the Human Biofield”. While you are on the road did you find the time to improve your technical skills on your instrument? Do you think is it important? I keep my work pretty much close to home, but if for example, we are on a family vacation I rarely even have a guitar around. Can you describe the process you go through when you are writing a song? What inspires you to write? It’s not a planned process, though some patterns have emerged. Like having some quiet time and picking up a guitar, generally, a new idea is always waiting. Exploring some electronic sounds at my keyboard-I recently got a ROLI keyboard that presents some awesome ways to make sounds and then have expanded dimensions of touch over these sounds. Time in nature, peaceful moments, this can slow my mind down so that I get the usual mental chatter quiet enough to hear some beautiful stuff come through me. At the same time, I can be walking through a loud market and still “hear” something that inspires. So, the process is just as creative as what you create sometimes. Album/Ep/Singles any favourite way to release your music? and why? Things seem really influx right now where the aspect of streaming is replacing even digital downloads. I am not in favour of producing CD because of the limited shelf life ahead, the unnecessary costs, and the overall waste of resources. How do you plan an album production and his release? As pieces ready themselves in my studio I look for ways that the music finds an interconnectedness then gather those tracks for an album. I have many. many tracks in progress at any given time. I don’t know that I can catch up with finishing existing ideas because new ones come in all the time! I am thinking maybe even the whole album concept is wrapping up for me and I will steadily release singles. When you release an album how much is important for you the tracklist? And the time between the tracks? The flow is very important. But these days I question how often in the streaming format that the whole album even gets played entirely and then even in the order you’ve carefully selected. Think about playlists-track upon track of various artists. If someone does dial in your album and it’s a free platform it will be shuffled! So, again there are lots of things to re-think. Do you produce your records by yourself or do you prefer to have some extra ears or a producer to guide you? Until now I have been a pretty isolated musician, producing by myself. As my music world is expanding I think it would be a great way to grow my music if I had a producer. I already know just listening to something with another person changes how you hear it. So yes I hope that option is in my future. Did you record your music in a rented professional studio, home studio or in any other way? I built a home studio and by “built” I mean I have an iMac, I use Logic X as my DAW, I have a simple Apogee duet interface, decent monitors, mics, headphones that’s all that’s really needed for my projects. How did you choose the musicians for your album? Did you mix and master your album/tracks in different ways for digital and physical releases? No. The 3 albums on the Heart Dance label where mastered in a studio where the record label is based. The rest is my work. Are your records only digital or also physically distributed? Mostly just digital, a handful of CDs go out with me to gigs. What types of promotion and marketing have you found to work best for an independent artist? Any work you do takes persistence and smartness. I’m always searching for new ways to market that stay authentic to my message and my music. There are some music industry analysts who argue that the CD is dying. What percentage of your sales are physical CDs and what percentage of your sales are in other forms (e.g. online)? Do you see that changing significantly in the future? I think the CD now serves mostly as a souvenir. How do you normally promote your latest releases? Do you use only social networks or also other ways? I promote on social media and by word of mouth when performing. Do you use Facebook/twitter/Instagram sponsored post for promotion? You think could be they helpful? Yes, I use all three and find each one to be helpful in a different way. Have you a mailing list? You think is a “must have” as most people in the music business said? I do have one but I don’t actually count on it too much. Have you a favourite way to distribute your album? Not really. The albums on the Heart Dance Records label share them to a network of global new age and ambient radio programmers. Before I worked with this label, I reached out to DJs and stations one at a time as I made connections on social media. Do you think that, with all the digital alternatives, radio airplay still has an effect on the success of a release? And how does an independent artist get radio airplay? Yes, if your music is shared on programs with a loyal following I think it’s another great way to get your music heard. Trying to find your audience is a major goal of the indie artists and finding programmers who like your music will get it played. What do you think about streaming services like Spotify and Pandora? I think they are also important platforms for discovery and building a sustainable fan base. I understood that you are an old school musician, like me. But both of us are discovering more about the “new world” of streamings, playlisting etc. Can you tell us what do you think about it? There is an efficiency with streaming that I like. There is also the ongoing possibility of new discovery for your music and always locating a new fanbase, especially with music like mine, which ranges from New Age, Ambient, Neoclassical and World. Have you learned any “promotional strategy” that you would share with the music community? From my recent experience, it is best when you combine your efforts with like-minded musicians and support each other, this brings about great results for all! In which way your Classical background helped you in your Fingerstyle/AcousticGuitar Career? In a lot of ways, I just apply my classical guitar techniques to the steel strings and then incorporate some skill sets that are unique to the tension and feel of a steel string guitar. Do you have any favourite tunings for your guitar? And why? I love to create pieces in alternate tunings not just for the new way of looking at the fretboard but for the way the strings ring together differently when they are tuned to different pitches. I do love getting my lowest string down to a C to feel that vibration against me. Tell us more about your guitars, brand, models and why you play these instruments. Well the first steel string I recorded with was a loaner guitar from my cousin, a Furch guitar made in the Czech Republic. After a couple years I learned that the Furch brand Canadian American distributor is called Stonebridge Guitars here and so I became a Stonebridge artist ambassador, when I started playing their G-22 CR-C model. The same cousin also loaned and then gave me the electric guitar featured on my recordings, a lovely blue De Armond. I met at NAMM in Nashville a guitarist who drew me in to his booth playing a guitar with a lovely rich sound. 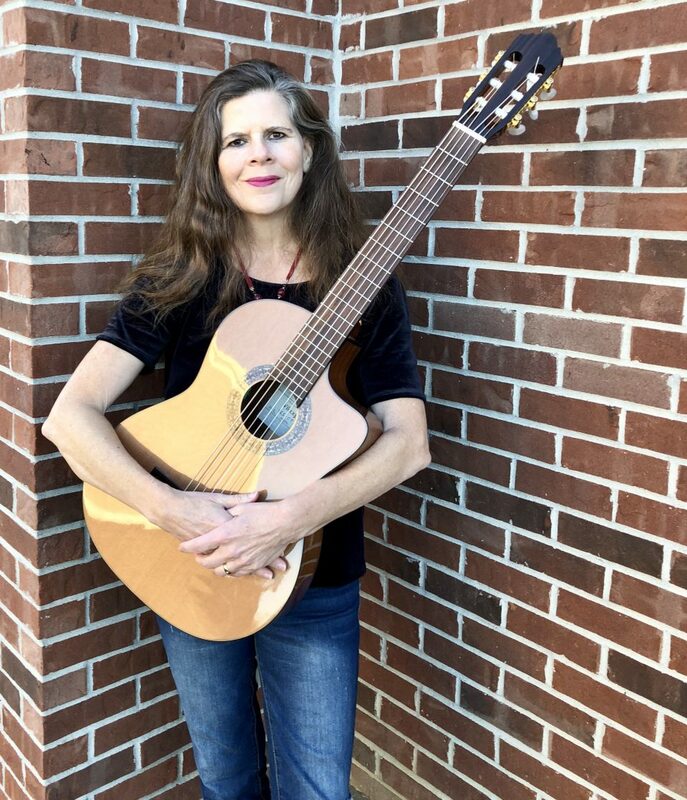 I had the chance to play it, called a Villela and I am now also an artist ambassador for this instrument, a guitar pitched an octave lower than a standard guitar. You can hear both the Stonebridge and Villela guitars on my recent album Short Stories. I am currently searching for a nylon string classical crossover that is a good match for my music. Beyond that I have an assortment of instruments, owned or borrowed that I use in recordings and performances, such as ukulele, mandolin, banjo, Native American flute, didgeridoo, slotted tongue drum, cello, sitar, oud, cumbus, singing bowls, drums and ROLI instruments. Any favourite brand of strings and gauge? Why? For my classical guitars I use Oasis strings, the titanium medium hard tension. On steel I use Nicola brand strings and I tend to need a light gauge or my fingers fatigue quickly. I really have no preference on the electric guitar at this time. As guitar player each of us at least discover his favourited techniques, did you have one? How do you discover and learn? I love the use of slide and harmonics in my playing as well as a variety of lengths of capos combined with alternate tunings to really create something unique. Did you work with booking agencies or you manage your own gigs? Until now I totally manage my own bookings. How do you promote a gig in a new town/country/region? Again, social media and word of mouth. Organizing a tour could be really expensive especially if you travel with a band far away from your country, how do you manage everything to earn and don’t loose money? This doesn’t really apply. If I head out of state I group together something like a house concert, a yoga gig, an interview. Since I’m my own agent the only costs are transportation and lodging and I also don’t have to share any income. Did you sell your physical CDs, Merchandising and other? I do bring CDs to gigs but only in the last couple of months have I added merch to my repertoire. I’ve taken my beautifully designed new branding identity and created mugs and magnets that display quotes that have inspired my music. For example, from my album Scattering Stars, I have a mug that illustrates this Rumi quote: “We come spinning out of nothingness, scattering stars like dust”. Another aspect of my business side is my recent manufacturing of Music as Metaphor branded singing bowls. I use them both in my sound immersion classes and offer them for sale at yoga and meditation classes. Somebody says that House Concerts are the future of live music as many clubs are closing. What do you think about it? Have you organized any? This is my favorite way of performing, meaning I enjoy the intimate, casual setting of performing at house concerts. I’ve never actually played at a club, just homes, yoga studios, art galleries, wineries, special events and festivals. Do you have any suggestions for somebody who would host a house concert? Gather your music loving friends and offer a variety of comfortable seating, some sips and snacks and make it clear that chatting is something that should only happen before or after the music! Every time you play your music you are giving a big part of you to your crowd, do you feel tension before a concert? If yes how do you manage it? Of course we all get nervous energy-mine manifests in lots of yawning! But once you settle in to your sound it’s just about the music. Which is the difference between a big audience or a small one? I’ve never played a big audience, I’ve always been able to feel connected to each person in a small one, so I wonder if that’s possible playing a big audience. Each of us has some expectations before a show, which are yours? What would you love to “have back” during a concert or what you already receive? I just always like to make sure I’m fully present. I want to hold the silence between the notes so that I can hear just collective breathing at times, and I like to glance around and see people’s eyes closed when they are moving deeply in to the sounds. I’d like to have back any time that I feel that glow of energy around me, if it happens to leave me briefly in a performance for what ever reason-I’d want that back. Have you a daily business routine? Checking/writing E-mail, phone calls, create new connections? It all has to happen throughout the day, each day. But generally I’ll run through my phone with morning coffee, then I need time with music. The follow ups, tasks and chores really vary on my schedule but it all has to get done by me at some point. Hard to determine but I do know whenever I am not creating music or on one of my instruments I am likely busy with those tasks, outside the tasks I have as a mom and wife and friend. I try to make the social media aspect creative and it’s valuable to me when I feel I am actually connecting person to person, but some of these tasks, like following up on leads or waiting for responses or tracking ways you find your music being exploited, that’s all very tedious. Do you think that the Artist status is compatible with the entrepreneurship? Do you think that an Indie artist needs to be also an Entrepreneur? As an artist, which are the biggest differences between being represented by a major label or being representing by yourself? Independence. The label I joined in 2016, Heart Dance Records, is not a huge one so I am comfortable still having a fair amount of independence. Which PRO (Performing Rights Organization) are you affiliated with and why did you choose that? ASCAP but it was an arbitrary choice. Did you use any other service to collect your royalties? As a full-time musician, I immediately realized that I can’t only work as musician and I should extend my expertise in different fields. So, I became a Sound Engineer, composer, producer too. Did you also develop different fields? Which one? What do you like and do not like about each one? My expertise has had to expand to do all that I do but I’m not interested in doing that for others, since I’m focused on my particular sound. What’s your relationship with the social networks? I connect mostly with friends and other musicians here, and make use of different Facebook groups to exchange information with other musicians. I have found a lot of fans of my music here, some who have become friends. 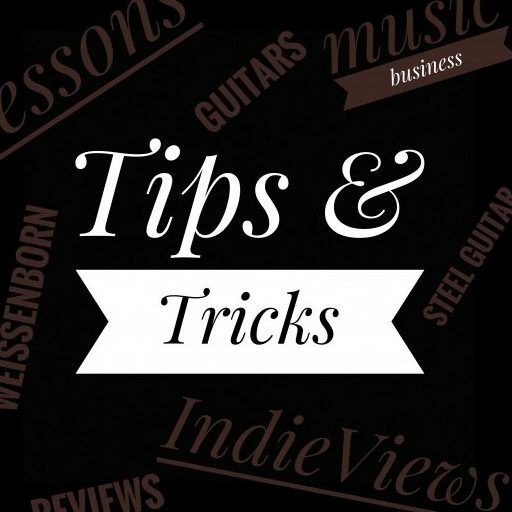 I create playlists featuring my albums and I also maintain a playlist of my guitar improvisations. This is my favorite platform for the direct message of media-words optional! Any other social or service you want to talk about? I think it’s time for a new social media brand to emerge that improves upon all of the issues with the current ones. Do you have any suggestions for a young musician that is thinking to start with his career? Focus on your craft and don’t compromise your vision. There are countless ways to create a path for a career in music. Thank you Michelle fro your music and for your replies here. Would you like to add something else? I studied music and graduated with Bachelor and Master of Music degrees but did not realize my potential at that time because shortly thereafter my life took a different turn due to a tragic and unforeseen family situation. I found myself moving from the vibrant and musically rich environment of NYC to a place and a situation that put my music career on hold. As time went on, I got married, started our family and in raising my daughter, fell in love with life again. As she grew up, I gradually brought my guitar playing back to life, both to expose her to music and to answer my needs as a creative being. I share this because this whole music thing happening for me now, composing and producing albums, taking my classical guitar skills to the platforms of steel string acoustic and electric guitars, exploring an array of world instruments and electronic instruments, meeting and collaborating with many musicians -this is all happening to me as a middle aged woman, I am well into my fifties, and feel I’m just getting started. I’ve never been one to set goals, maybe because I prefer to go where life takes me, knowing there is a reason for each experience, and the flow of life is unique to each of us. Thank you for the opportunity to share about my life and music here and I wish all the best for any musicians starting out. We live in a time where creativity is so important yet not rewarded as much as it should be, so it takes a lot of perseverance to honor your path as an artist. 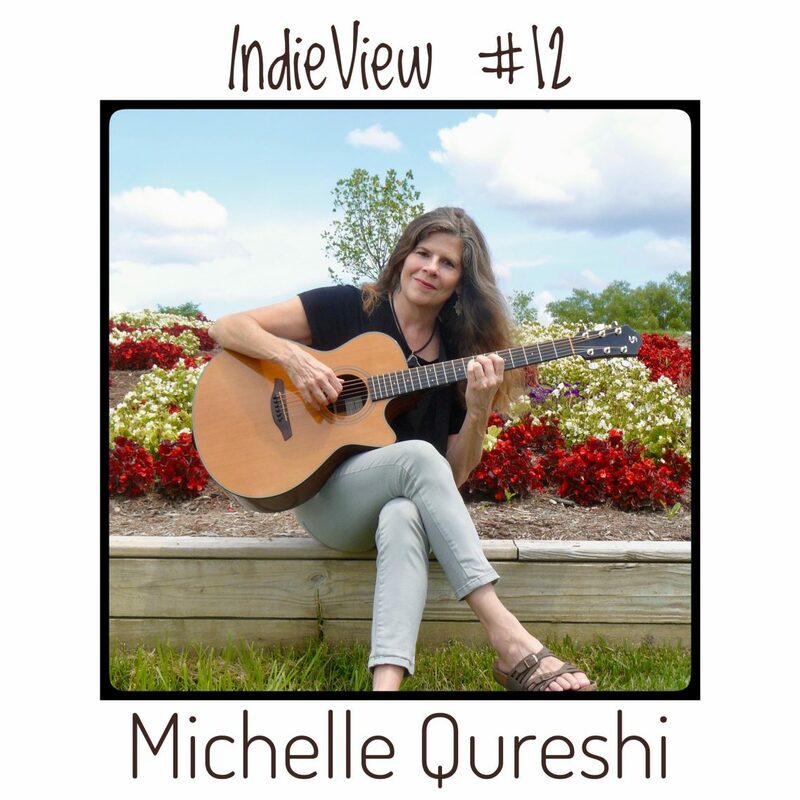 Listen to Michelle’s Music on our Spotify Playlist with the other IndieView’s Artists and don’t forget to follow and share it.